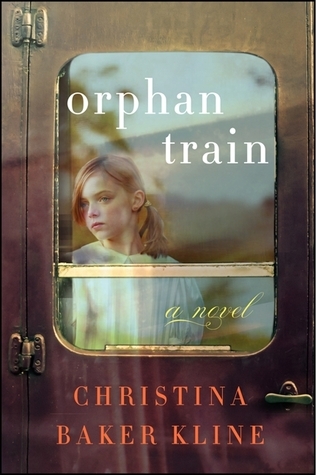 Told from two different perspectives between the past and the present, spanning from the early 1900s to 2011, I had certain expectations when I started Orphan Train. However, I must admit that when I finished this book my thoughts were a mixture of empathy, scrutiny, disbelief and admiration in contrast to the two main characters Molly and Vivian. On top of years of spotty information and details for two main characters that left me with only fragments of their personalities, I did not enjoy the pacing of the book, the self-fulfilling prophecies erected by Molly nor did I understand the reason behind her character’s heritage and it’s significance to the narrative. Since this wasn’t a difficult or long book, I was surprised by my initial reaction to this book. While the premise of the book is great, I strongly found a disposition and lack of character motivation with Molly. Her character is snide, sarcastic, distrustful and a self-proclaimed rebel. As with most preteens and teenage characters in fiction, these traits were expected, so I just didn’t feel that the fact that she was a foster child made her behavior and attitude an adequate excuse. Furthermore, there didn’t seem to be any character arc with Molly’s character either, as she allowed those around her to strongly influence and continue to reinforce the negative expectations of her, even after Vivian enters her life. And the portaging project for school didn’t incite any buried drive within her character to further pursue, dig or look for further information in regards to her heritage, so if the purpose behind the portaging project was to simply have Molly learn of Vivian‘s past, why didn’t Vivian just tell Molly about it while she did her community service hours? Perhaps like most, the amount of information I am familiar with when it comes to the orphan trains is diminutive, so I looked forward to reading a book centered on the topic. And all of my empathy and admiration in this book went towards Vivian’s character, but not because she was a passenger on the Orphan Train. From beginning to end her character projects the life of forced strength, a palpable frailty, and repeatable perseverance that of a young child lost, found and lost again. In a world scarcely similar to the one she clings to in reminiscence of her grandmother and her family. Though it was odd to read the level of maturity and self-awareness 9-year-old Vivian retells her life, but it is one worth reading. Christina Baker Kline is the author of five novels. She lives out-side of New York City and on the coast of Maine. Find out more about Kline at her website, connect with her on Facebook, and follow her on Twitter.